Possibly, Index is starting to form extension inside wave . 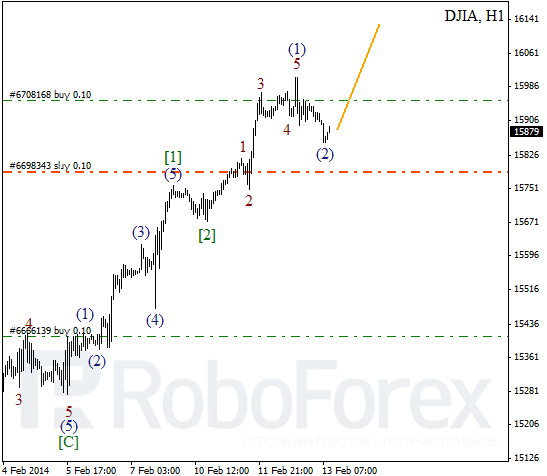 Yesterday, price completed impulse inside wave (1), and right now market is being corrected. Probably, instrument may start growing up inside the third wave during the day. 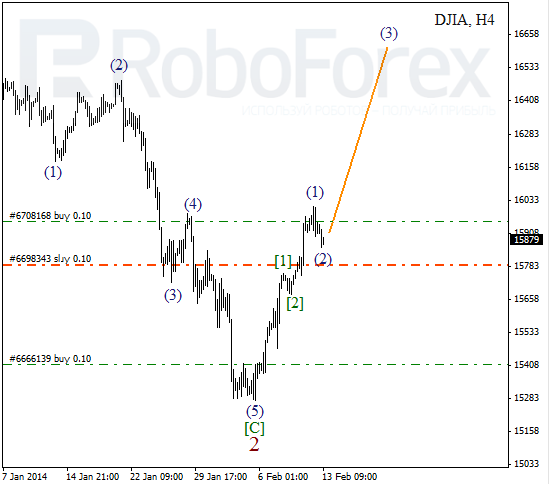 As we can see at the H1 chart, Index formed two bullish impulses. Considering that the second of them is shorter than the first one, we can expect price to form possible extension inside the third wave. I’ll move stop into the black right after instrument reaches new maximum. In case of Oil, we had to change previous scenario. Probably, wave [B] was completed in the form of double three pattern. 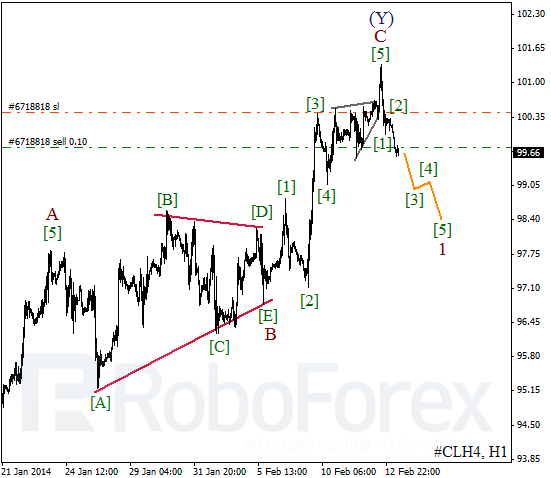 On minor wave level, price formed zigzag pattern inside wave (Y). It looks like market is already forming the first wave and may start significant descending movement in the nearest future. More detailed wave structure is shown on H1 chart. 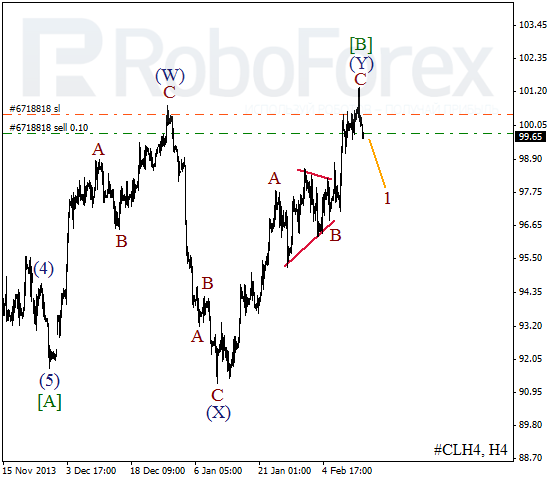 Price formed wave B in the form of running triangle pattern inside zigzag. Probably, right now instrument is forming the third wave inside wave 1. Bears may continue pushing the market downwards during the day.